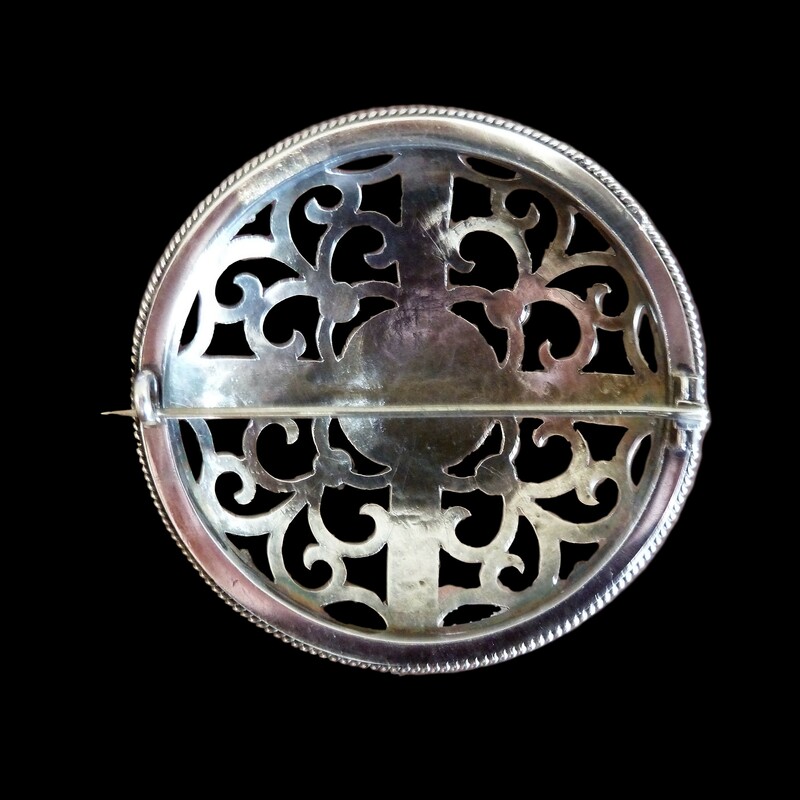 A lovely large saxon style brooch attributed to Edward Spencer for the Artificers Guild. 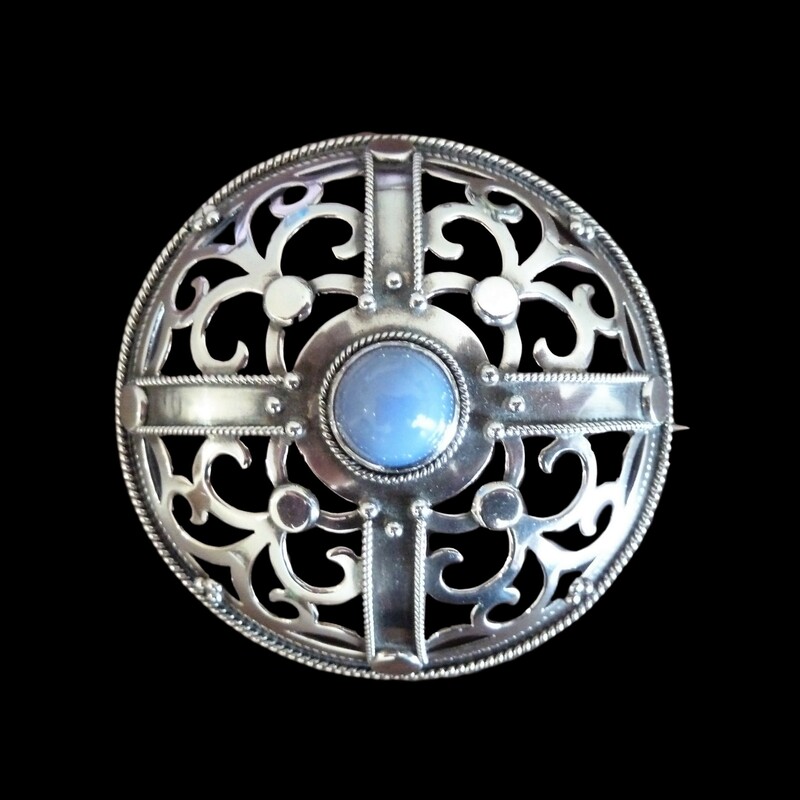 Decorated with classic Guild wire work and a lovely blue grey agate. The Artificers Guild was originally established by Nelson Dawson along similar lines to Charles Ashbee’s Guild of Handicrafts but quickly changed ownership and from 1902 it’s chief designer became Edward Spencer who took over the firm as a limited company in 1909.